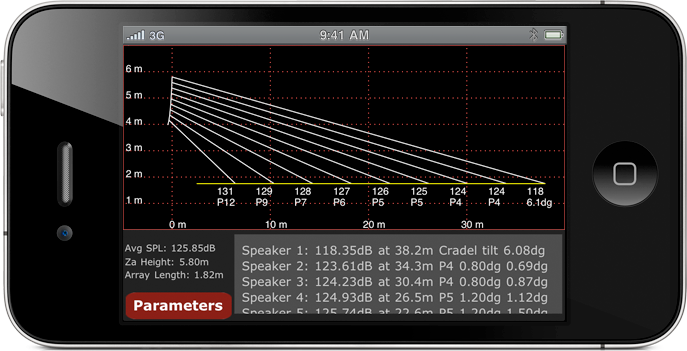 iD1s Line Array Prediction on the iPhone. The easiest way to correctly angle your cadenbach acoustics line array at any place. Easy to handle Parameter input. You will love the way to enter individual venue parameters. iD1s Works with any of your favorite cadenbach acoustics Line Arrays. Simply select the array you have. Call +49 151 14869414 to find a reseller close to your location.